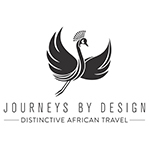 Journeys by Design offers seven-star tailor-made, exclusive African Safaris that truly are once in a lifetime experiences. 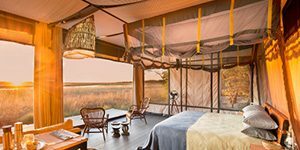 This is a rare opportunity to spend four nights in Liuwa Plain, one of the unspoilt and exclusive wildlife rich habitats of Zambia. 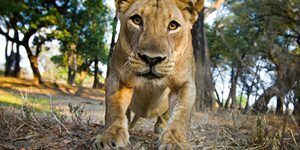 This is a very special safari experience in an area designated as a conservation area, under the protection of African Parks, in the far west of the country. 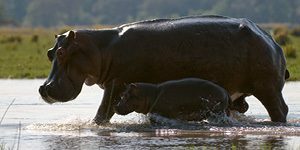 It is a magnificent stronghold of wildlife and birds, and is a mini Okavango Delta. 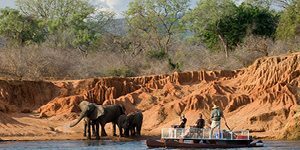 Superb activities include day and night wildlife drives and walking in pristine wilderness areas. During December and March an excellent time for boating and canoeing. 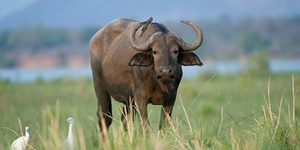 Here you will find migrating wildebeest, large clans of hyena, sometimes up to 50 and Liuwa’s famous lions out in force, and many hundreds of bird species. 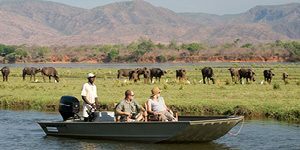 Your guide will ensure to maximise your wildlife viewing and you just will not see another vehicle, what a luxury! 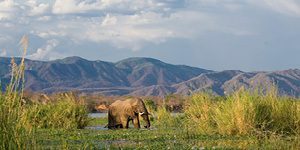 We pair Liuwa with two nights at Chongwe suites in the Lower Zambezi area. 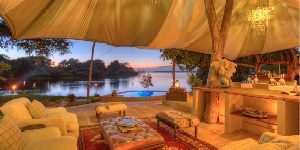 A beautiful wild setting on the Zambezi river, your room has its own plunge pool and for added luxe, your own butler. 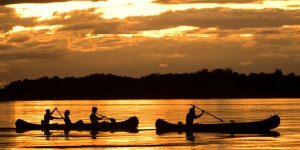 The ultimate exploration of this stunning area can be by walking, by boating or canoeing safaris. 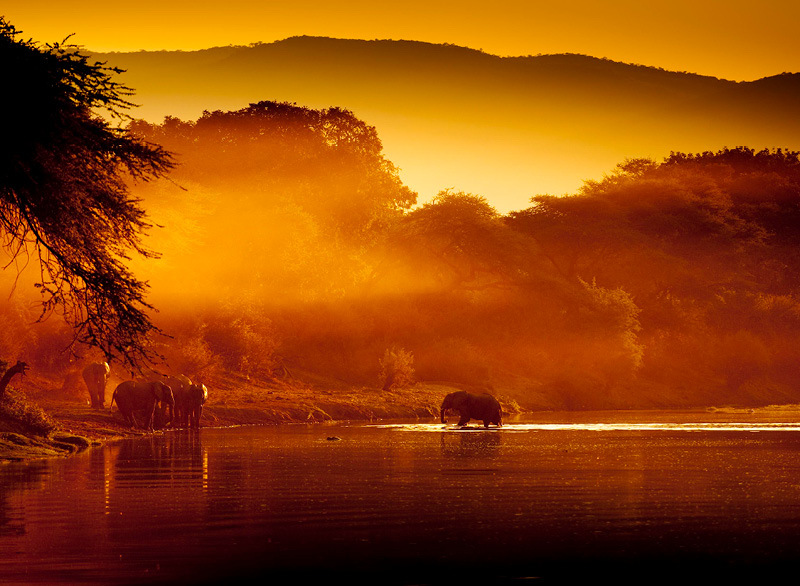 There is also great Tiger fishing and a superb wildlife hide, where you can take some unique photographs. For those that are a bit more adventurous there is a sleep out under the stars – the ultimate commune with nature! Have a read of the full itinerary here. *to be used one year from event. Not to be taken in August, or during Christmas/New Year period.